Editor's note: Steven Wade is the owner and publisher of http://www.saabsunited.com/, an independent Saab weblog that has been in operation since February 2005. He lives in Tasmania, Australia, with his wife, three children, one dog and three Saabs. Hobart, Australia (CNN) -- My name is Steven Wade and I'm a Saaboholic. I own three of them, though that's not many by Saab collector standards. I write about Saabs daily on a Web site that I've been running for close to five years now. I've traveled to Sweden twice to look at them, as well as to the Detroit and Frankfurt auto shows. Did I mention that I live in Hobart, Australia, which is almost as far away from Sweden as you can get. Tens of thousands of people visit my Web site, viewing almost 400,000 pages during November 2009. Many of them contributed articles and news tips. And all of them are in mourning today. As I write this, the announcement of Saab's possible demise is still so fresh that I haven't had much time to let it sink in. As a hard-core Saab enthusiast, I feel like I'm in denial, in limbo. I just can't bring myself to believe that it could be over. Saab isn't an ordinary car company. The Saab automobile operation was started as an offshoot of an airplane company in the late 1940s. SAAB stands for Svenska Aeroplan Aktiebolaget, or Swedish Aircraft Co. Having no experience designing cars, these aeronautical engineers decided to build a car their way: lightweight, rigid, aerodynamic and ergonomic. Being Swedish, they were very practical types, and it shows in their cars. "Form follows function" has long been the mantra at Saab, along with safety and intelligent design. Saab's early cars had lightweight, high-revving two-stroke engines in a strong, neutral chassis that allowed the cars to be flung around the rally circuits of Europe with great success. Being front-wheel-drive, a rarity in those early days, they were perfectly suited to winter driving conditions and won themselves a cult following in the Northeastern U.S. They looked just a little strange compared with your average car, and they were certainly configured differently, but it was these differences that made people appreciate them. In the 1970s, Saab unveiled their Combi-Coupe body design, which has become the single most identifiable Saab shape. This versatile hatchback gave Saabs a sleek, sporting profile, and the folding rear seats opened up a cavernous luggage area. Many past Saab owners will have stories about the large items they've carried in their cars -- sofas, motorbikes, ride-on lawn mowers, 47 pumpkins. I've got photos of them all. Later that same decade, Saab pioneered turbocharging for the everyday car. Whilst a few manufacturers had experimented with turbos before this, Saab was one of the first to get the formula right and make it available in what was essentially a Swedish family car -- the Saab 99 Turbo. Turbocharged engines became a common feature of the Saab lineup and remain so today. The Saab 900 Turbo was sold from 1979 to 1993 and is still considered by enthusiasts to be the Saabiest Saab ever made. It combined a luxurious, well-appointed interior with cutting-edge turbo technology and the Combi Coupe's trademark load capacity. It really was a car that you could take to Home Depot in the morning -- without a trailer -- and then give a good thrashing to on the racetrack in the afternoon. The 1980s also saw the birth of the Saab Convertible, an icon conceived when Saab USA's legendary chief, the late Robert J Sinclair, was forced by his bosses in Sweden to take a quantity of unpopular two-door Saab 900s to sell in the U.S. Bob agreed to take the vehicles so long as he could name his desired specification, which included power windows and other modern amenities of the time, and no roof! Bob commissioned a prototype from the American Sunroof Co. (for a mere $30,000), and this vehicle was an immediate showstopper. When the vehicle was finally released for sale in 1986, dealers didn't have books big enough to contain the orders they received. Such stories are common in history books about Saab. The little company that could. Saab enthusiasts refer to this as the Spirit of Saab. The 1990s saw the beginning of the GM era for Saab. 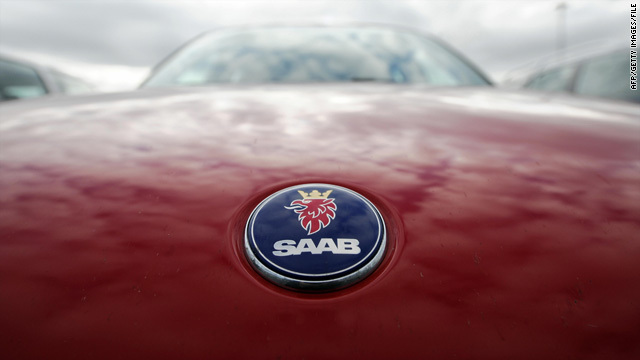 General Motors owned a 50 percent share of Saab through this decade, buying the remaining 50 percent share in 2000. With 20/20 hindsight, it's easy to see that a volume manufacturer called General Motors was always going to struggle with a low-volume, niche brand from Sweden. And so it came to be. Saab had some fantastic vehicles in this period, but GM never saw the value of what they had in Saab. They never really invested in the company to build on what was a cult following with enormous goodwill. When GM announced in early 2009 that it planned to sell Saab, the enthusiast community was abuzz. Finally, it seemed Saab might get a chance to spread its wings once again. GM was reported to have 27 interested buyers for the company early in the year and despite detailed negotiations with several of them, the right deal has failed to materialize. If there is no last-minute miracle in the next few days, Sweden will lose a large portion of its industrial base, many enthusiasts around the world will lose their favorite marque and the generic car company overlords with their everyday transportation appliances will have won another battle in the war of automotive mediocrity. New deals for Saab now sit on GM's table and as you read this, the time for their acceptance or denial is nigh. This particular Saaboholic holds on to some hope that GM might extend a lifeline to Saab and place the company in the care of another, just as a lifeline was extended to GM earlier this year. The opinions expressed in this commentary are solely those of Steven Wade.